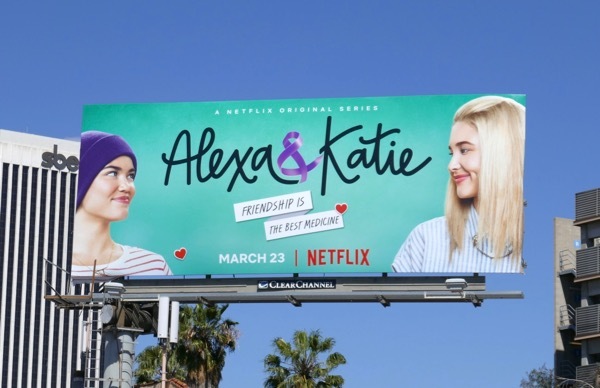 You know, these days capturing all the new billboards around L.A. is like trying to catch all the Pokémon, especially when it comes to Netflix's original shows. 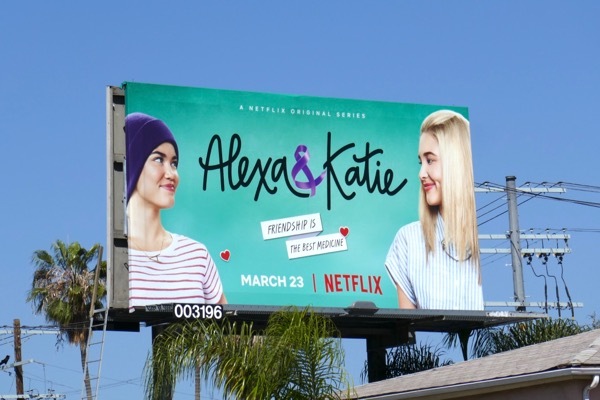 One of the streaming giant's new offerings is teen comedy Alexa & Katie, starring Paris Barelc and Isabel May. 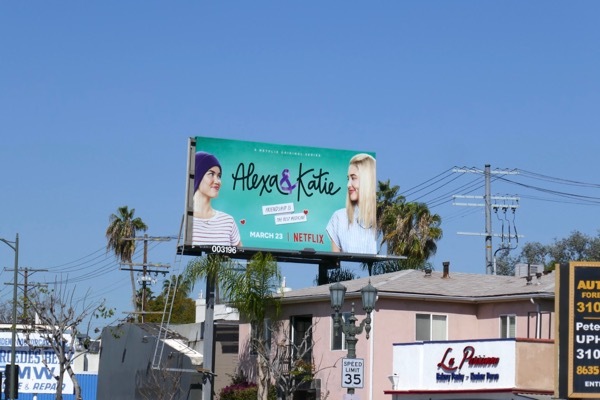 In the series the lifelong friends are about to start their freshman year of high school when Alexa is diagnosed with cancer, making their friendship even more important. 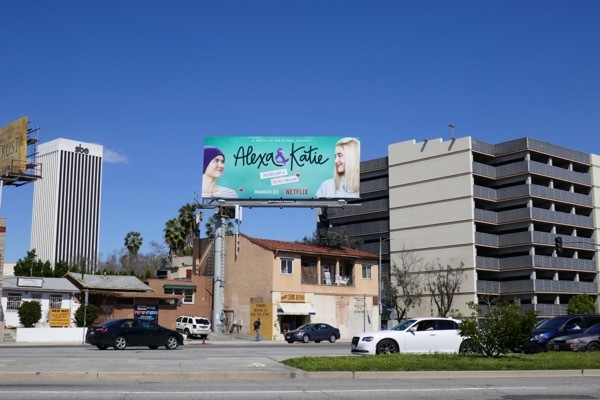 These series launch billboards have really stood out from the crowd in recent weeks, especially in the murky skies, thanks to their vibrant colours and joyful faces. 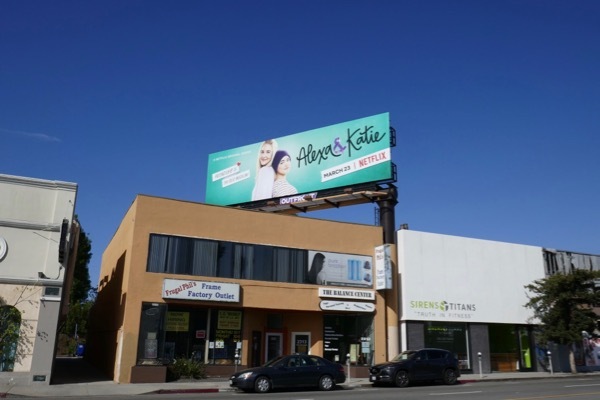 They were snapped along Pico Boulevard, Olympic Boulevard and Westwood Boulevard from March 26 to April 8, 2018. 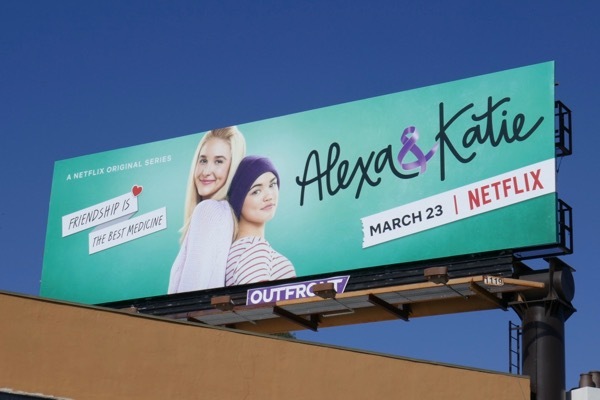 Daily Billboard wonders how hard it will become to keep up with Netflix's outdoor presence in the future if they buy the L.A. billboard company Regency for $300 million plus, as they are rumoured to be interested in doing. 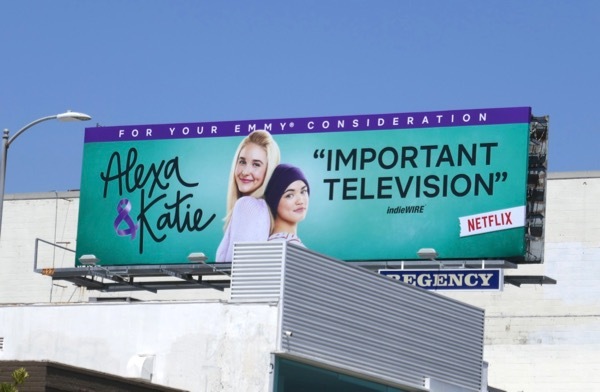 UPDATED: Here's also an Emmy consideration billboard for Alexa & Katie spotted along Westwood Boulevard on June 1, 2018.